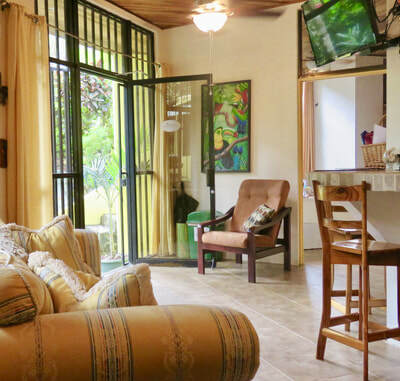 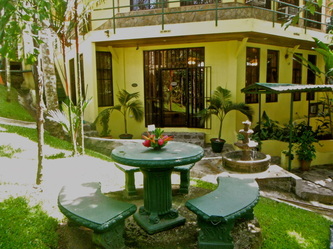 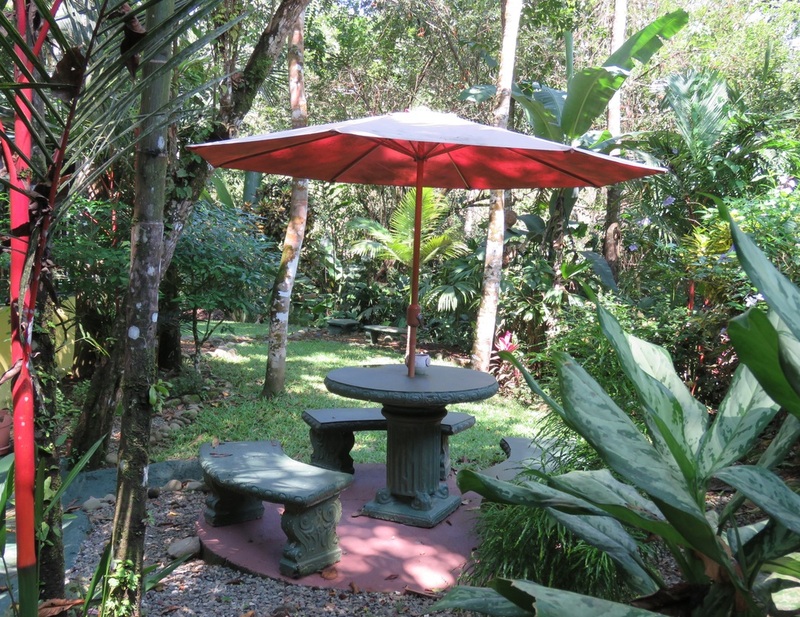 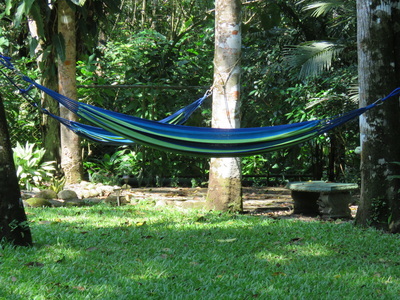 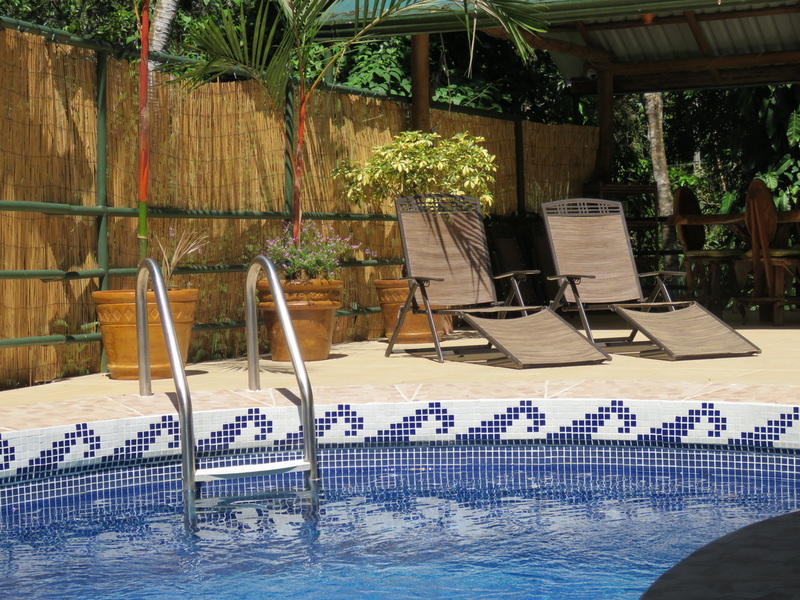 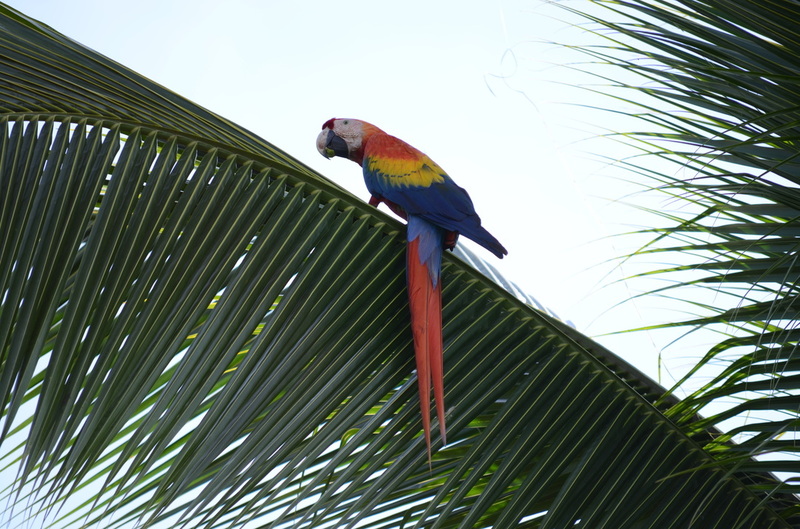 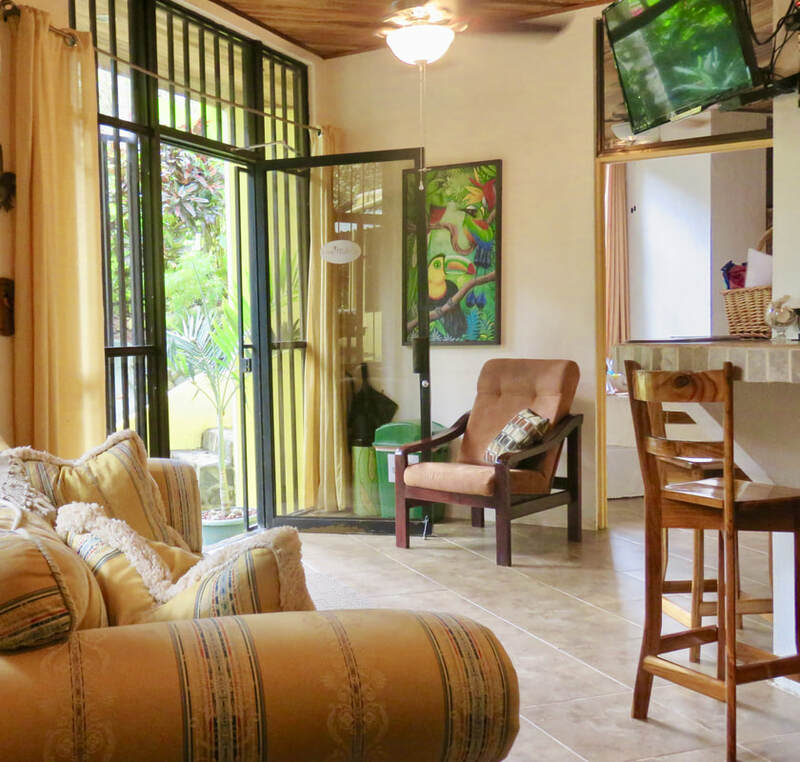 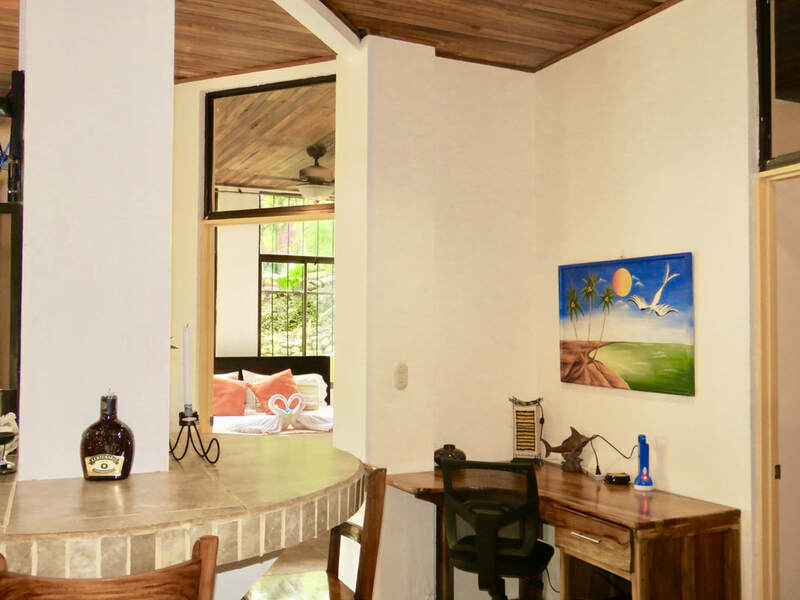 Dos Palmas is located directly below the main residence (Alma Pacifica). 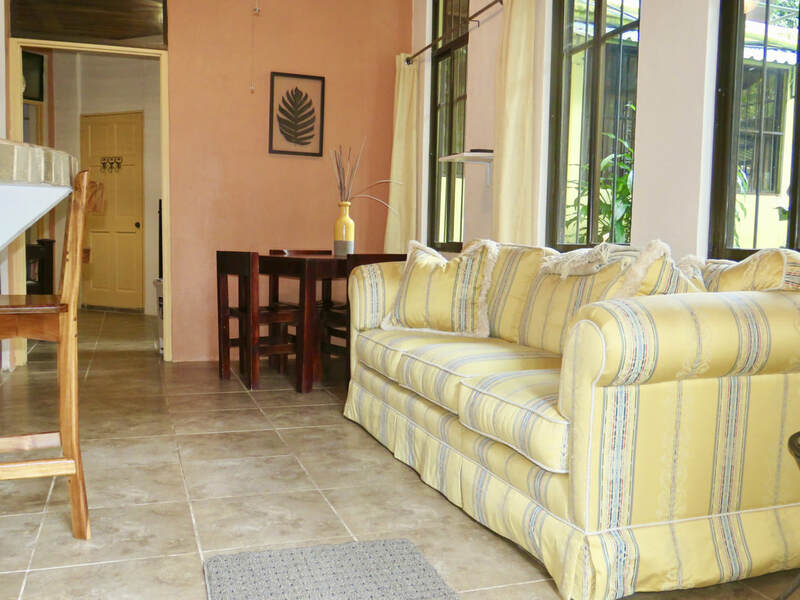 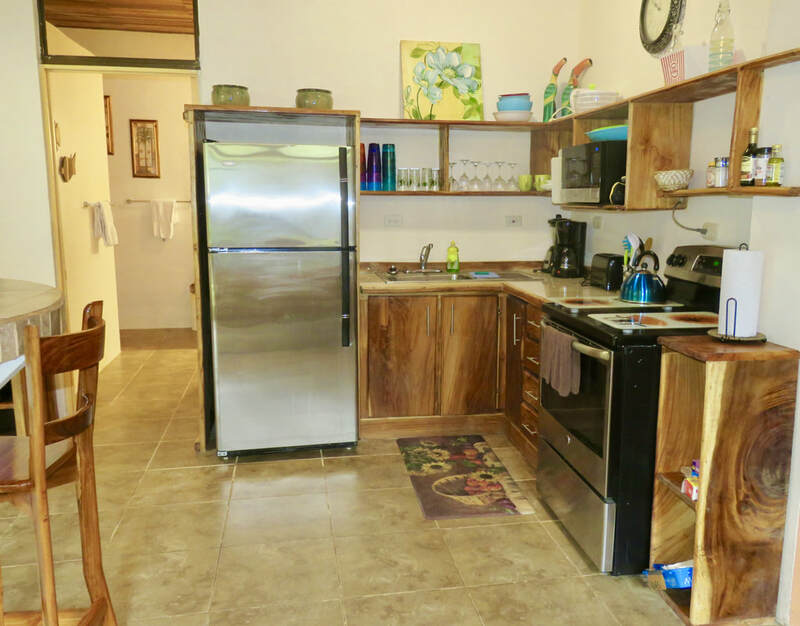 With approximately 1,200 square feet of living space, this unit features two air-conditioned bedrooms, one spacious bathroom (separate toilet room) , full kitchen, office space, dining area, flat screen TV with cable and DVD player in the living room. 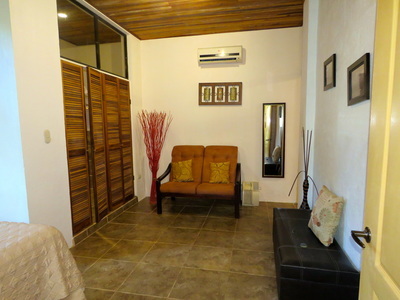 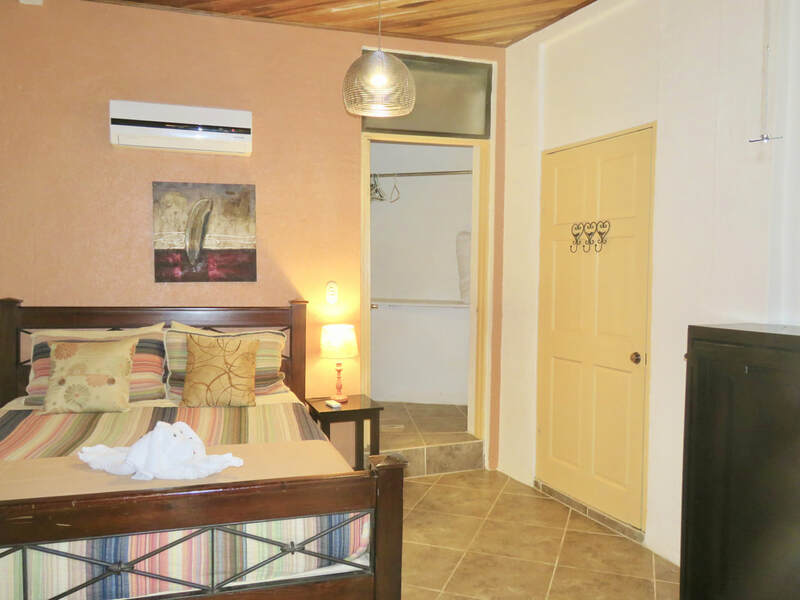 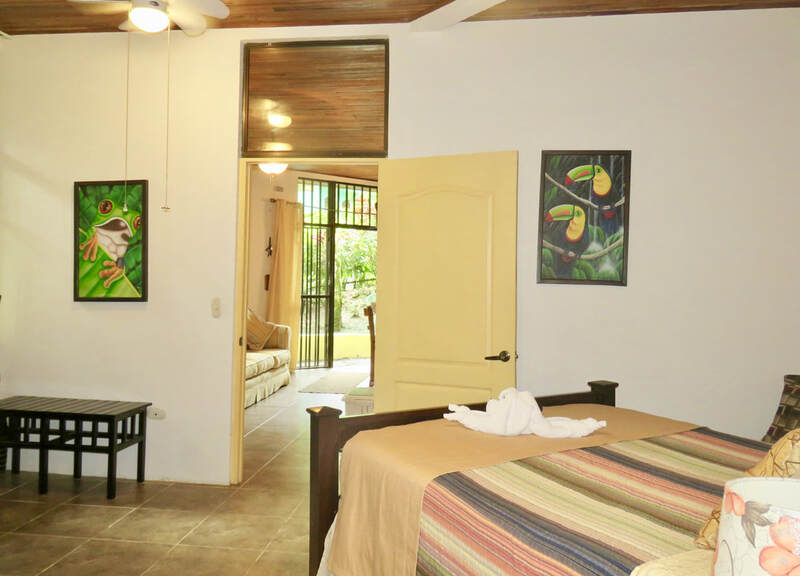 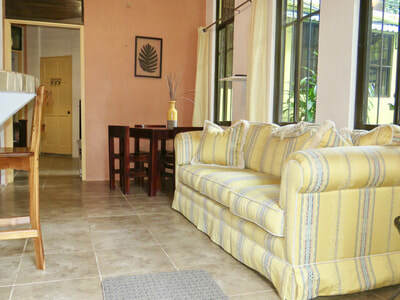 There are A/C units in each bedroom and ceiling fans in each room in the villa. 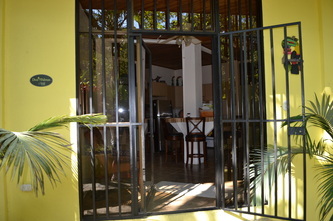 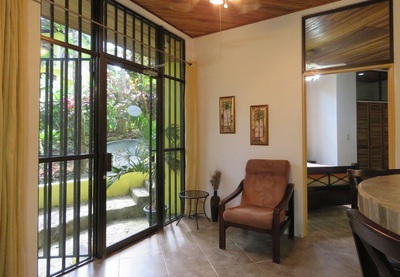 The high teak ceilings, open floor plan, large windows make it a spacious villa with lot's of natural light. 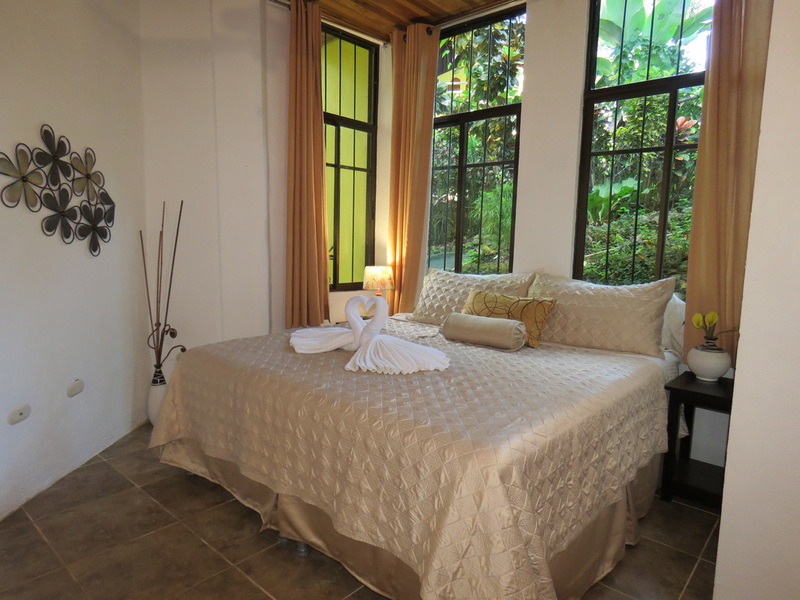 The space features a private stone entry, night lighting, beautiful garden views, and space to enjoy the outdoors on our private creek-side walking paths. Dos Palmas features an island bar with four stools. 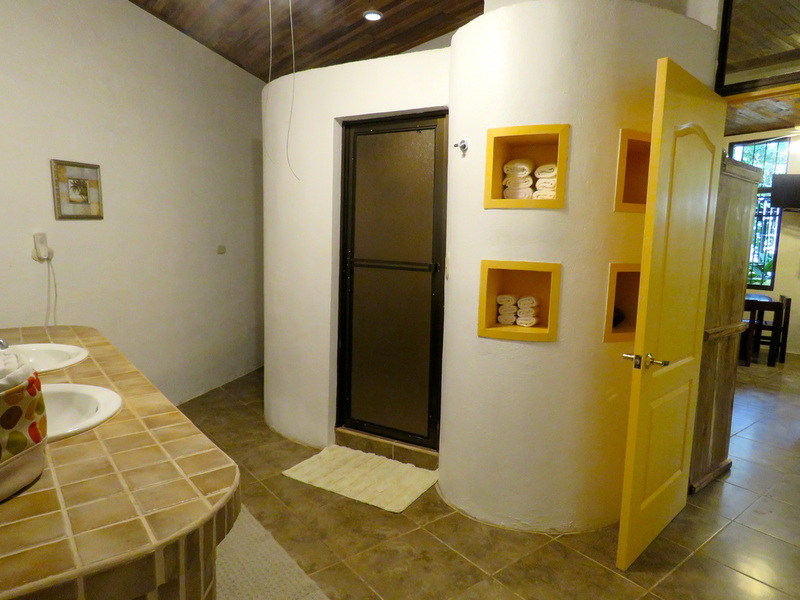 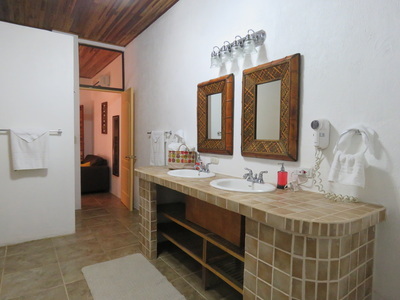 The bathroom has a large walk-in shower and double sinks and separate toilet room. 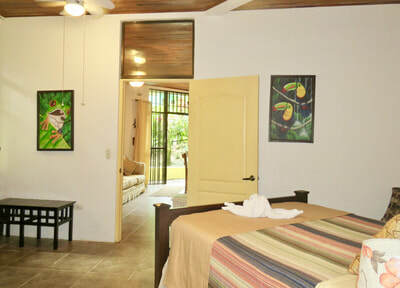 Each bedroom has its own large closet and sitting area. 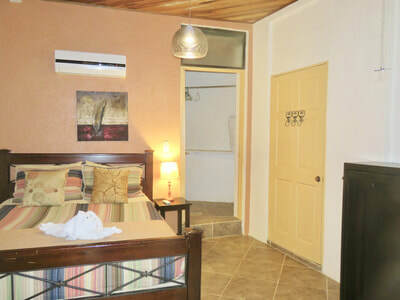 First bedroom has a king bed and the 2nd bedroom has a queen bed and a twin-sized Murphy bed. 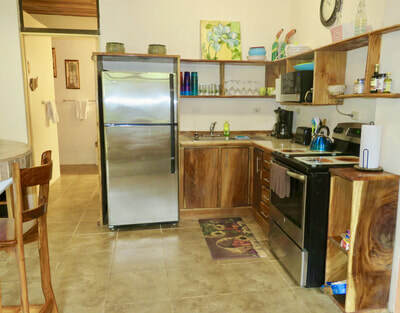 The common space has plenty of seating for everyone with an island bar, a large comfy sofa, and dining table with four chairs. 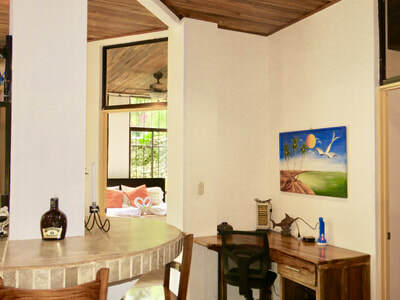 This villa is perfect for small families or traveling couples.